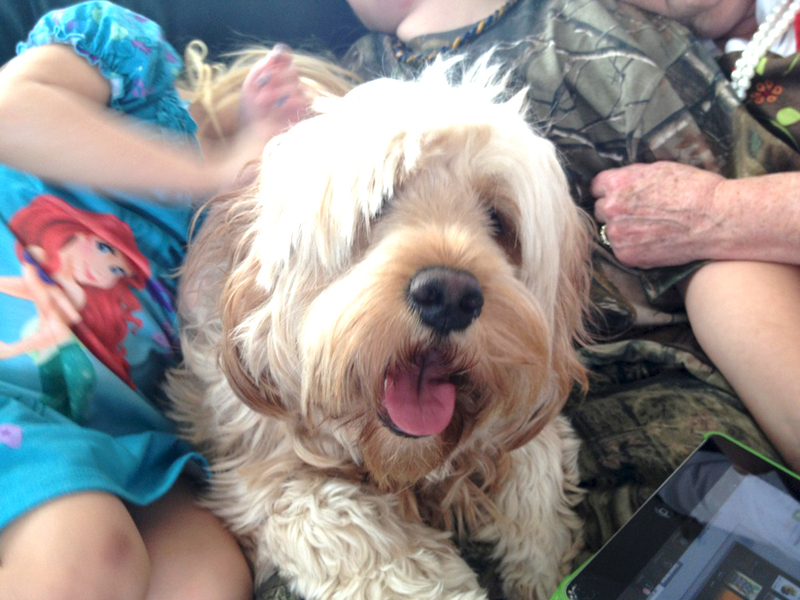 Minnie – Goldendoodle Living the Good Life! When I first started walking Minnie, she was a little puppy with a sweet, shy demeanor. 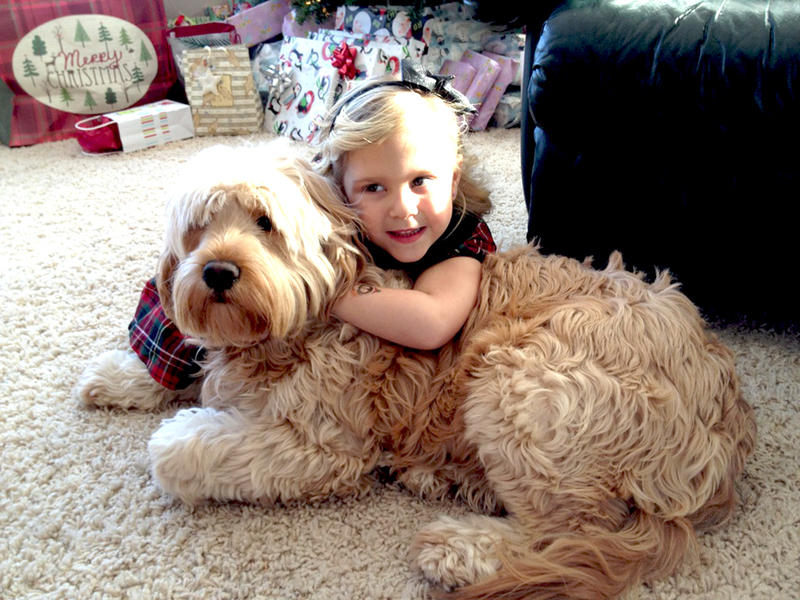 Goldendoodles are a cross between a Golden Retriever and a Poodle, which is sometimes referred to as a “Designer Dog” mix. But Minnie is no snob, and prefers to hang out with us regular people. Minnie definitely has the best attributes of each breed. She has a friendly, playful personality with a beautiful, curly coat and a face that melts you when she looks at you with those soulful eyes. I just looked up some facts about Goldendoodles and I found this line very interesting: “The Encyclopædia Britannica traces the term “designer dog” to the late 20th century, when breeders began to cross purebred poodles with other purebred breeds in order to obtain a dog with the poodles’ hypoallergenic coat, along with various desirable characteristics from other breeds.” Yes, Minnie does have a very nice coat indeed…being that she has naturally curly blond hair! Tina Albright, owner of Minnie, recently sent me some great photos of Minnie which I would like to share. Minnie is definitely a dog with a winning personality! Minnie gets lots of attention from her “people”. 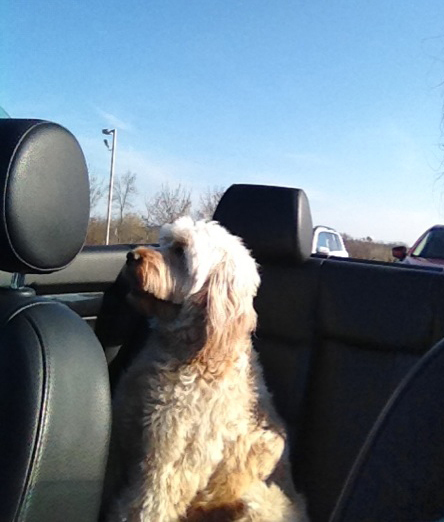 Minnie loves her convertible rides – lucky dog! 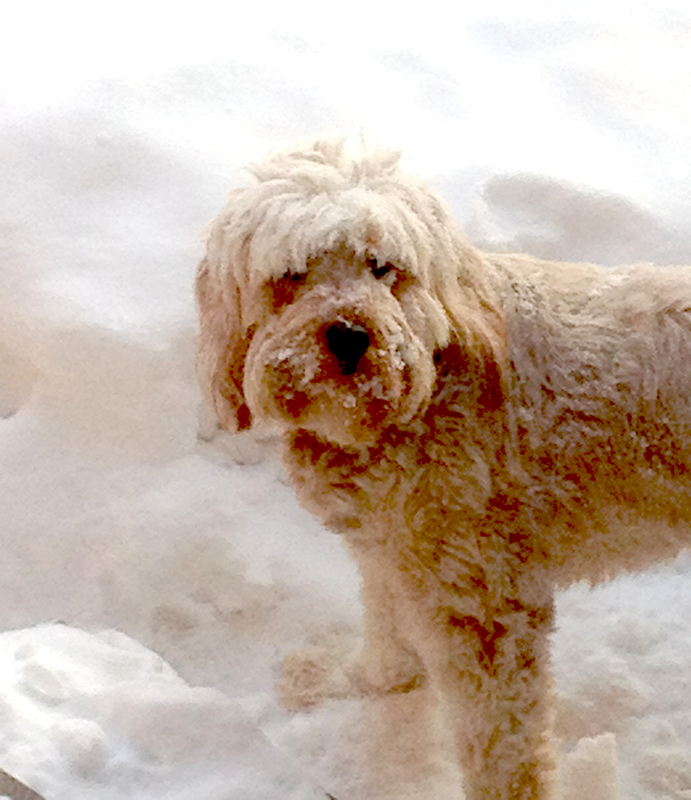 Minnie having fun in Minnesota snow. 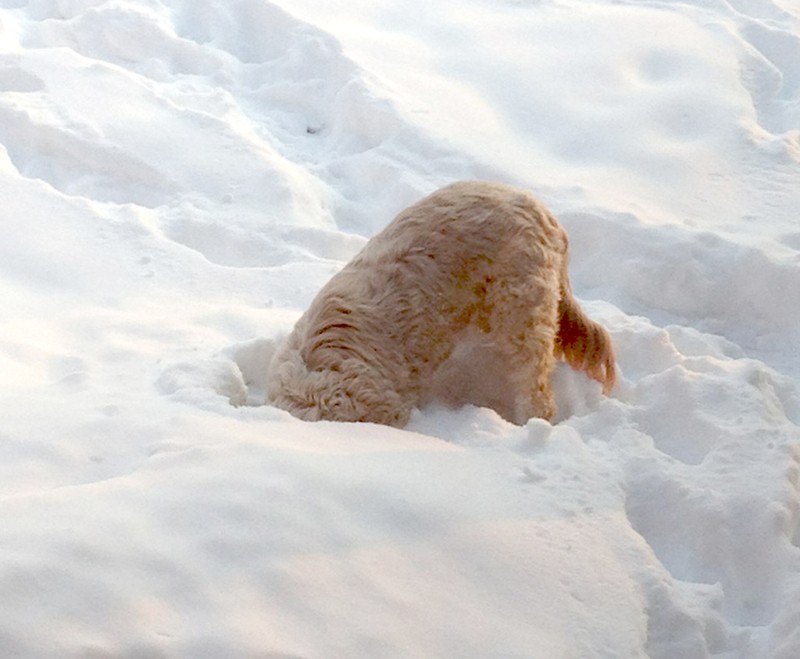 Can you find the Goldendoodle in this photo? Minnie loves her little girl. Previous postWelcome New Cat Clients!